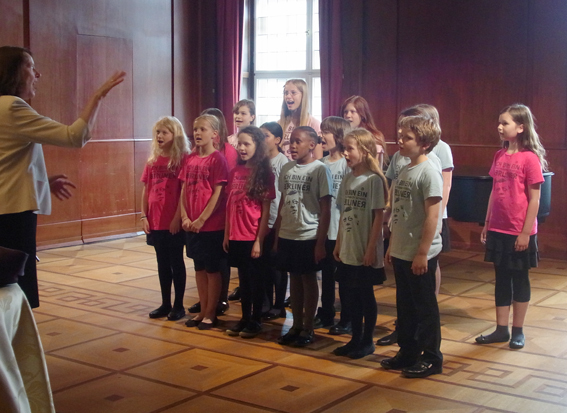 The JFKS Kammerchor is open for students in grades 3 to 6 who have successfully auditioned for the group. The Kammerchor rehearses Fridays during lunch break (5th period), additional rehearsals might be called before a concert. It is a small ensemble which rehearses and performs more challenging works with a focus on polyphonic German repertoire. The Kammerchor is sometimes asked to participate in additional performances like the yearly Domkonzert.